What’s the Deal with HR App Integrations, Anyhow? This article initially appeared on Namely’s blog on July 8, 2015. Please click here for the original article as originally published. How will we win the ongoing war for talent? What do we need to do to keep our employees engaged? Our best employees keep getting poached. What do we need to do to keep and grow them here? HR business partners have the unique ability to deliver on these initiatives except when administrative work gets in the way. Updating benefits plans, filing taxes, tracking PTO: all of these tasks can be automated so HR can focus on strategically managing talent. The savviest HR professionals no longer do administrative work. Rather, the best rely on integrating HR apps with other business apps to automate workflows. There’s that word again: integration. What does app integration mean to you? Think of it this way: HR apps sometimes live in a silo. For example, an app like Jobvite is a perfect recruiting app for building a candidate pool, but your valuable time is wasted—and the risk of errors increases—if data is manually inputted into an HRIS after an employee is hired. That’s why Namely integrates with them—so the information is already right there. Apps focused on accounting, timesheets, project management, and expenses also rely on HR information. Integrating HR records to other apps, securely, can eliminate repetitive, manual tasks HR leaders often face. It’s HR tech… on steroids. Not only that, there are companies that even make it easier for apps to integrate. Workato, a Namely partner, is one such company. With its DIY platform, app users—like those on Namely, for example—can automate how two applications communicate by setting up custom triggers and actions. For example, you can automatically pull information into an employee profile from another app and fully customize the data exchange. Both applications will sync in real-time, and the data stays accurate. For all you HR data geeks out there (and we know there are a few! ), Workato is a tool that makes integrations easy and fun. Time spent on repetitive tasks is not inconsequential. 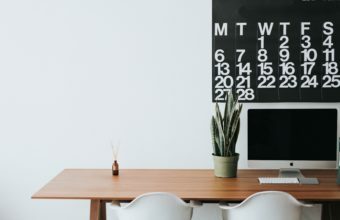 In ServiceNow’s “State of Work” report, it was reported that managers spend approximately 2 days per week just on administrative tasks, a value of approximately $575B annually in the United States. Furthermore, 69% of HR managers reported that the onboarding process is “time-consuming,” with 49% saying it is “frustrating.” And that’s only onboarding! Manual handling of administrative tasks can lead to errors such as payroll discrepancies, unpaid invoices, or, worse, bad business decisions based on faulty data. Failing to integrate data definitely comes with a price tag. The value of newly freed-up time can be measured in how people actually use it. Operational efficiency is great but, for many HR leaders, less time spent on administrative tasks means more time to focus on why they got into this field to begin with—to work with great people. Identifying potential rockstars for the company, recruiting them, supporting their personal and professional growth, future-proofing an organization’s labor needs… these are the moments that HR leaders truly derive meaning in. It’s never about stopping the work of HR altogether. It’s about using HR technology to make your day-to-day the most meaningful it can be. Check out the current Namely integrations on Workato or build your own to connect your HR function throughout the business.